Manufacturer of a wide range of products which include sewage water treatment plant, automatic industrial sewage treatment plant, automatic sewage treatment plant and grey water treatment plant. 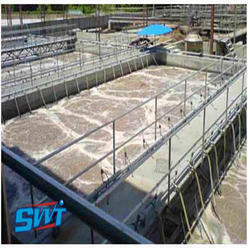 Our organization specializes in providing an excellent range of Sewage Water Treatment Plant that is used in various industries. We are offering this product in various models and technical specification to meet the requirement of varied clients. To maintain industry defined quality parameters, it is manufactured using quality tested components and advance technology. Require low maintenance, these come in market at pocket friendly prices. We assure to our valuable clients for timely delivery of products. We are one of the trusted names in the market to offer a highly durable range of Automatic Industrial Sewage Treatment Plant. Entire range of offered products is sturdy in construction and is technically advanced. To maintain industry defined quality parameters, these products are manufactured from quality proven components and cutting-edge technology. We ensure to deliver fully tested products at leading market price within promised time frame. 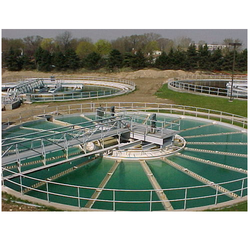 We are the leading suppliers of Sewage Treatment Plant. In secondary treatment, different types of bacteria exist side by side in aerobic (with oxygen) and anoxic (without oxygen) environments, breaking down organic material and removing nutrients in the plant's aeration tanks. The water then passes through sedimentation tanks where more sludge settles to the bottom to finally produce clear treated water at the top, also known as secondary effluent. The treated secondary effluent flows to large holding ponds before it enters the tertiary treatment stage of the plant. The treated water is then recycled or discharged to the marine environment at Boags Rocks, under strict EPA Victoria licence requirements. The tertiary supply pump lifts effluent from the secondary stage out of holding basins, whereupon it enters the advanced tertiary treatment plant. Ozone is added for disinfection, to reduce colour and odour, and to optimise the rest of the treatment process. Biological filters containing helpful bacteria biodegrade the organic matter and reduce ammonia, oil and grease, foam, litter and solids. ​More disinfection using ozone, which is generated on-site from oxygen. ​Exposure to ultraviolet light for further disinfection. Treated water enters two large chlorine contact basins, where chlorine is added as part of the disinfection process. The basins also feed the treated water to the outfall pump station. 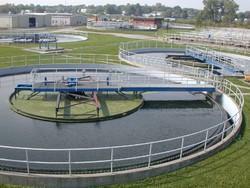 We are engaged in offering a wide range of Grey Water Treatment Plant to our clients. The offered range of product is made from high grade quality raw material to meet the international quality standard. These products are manufactured under the supervision of best quality experts using advanced technology. These products are highly demanded in the market due to their world class quality and available at leading market price. 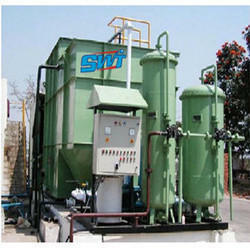 Looking for Sewage and Grey Water Treatment Plant ?